Reading Gives Us Someplace to Go Free Printable and Bookmarks – Decorate a playroom, classroom, office and more with this free printable. 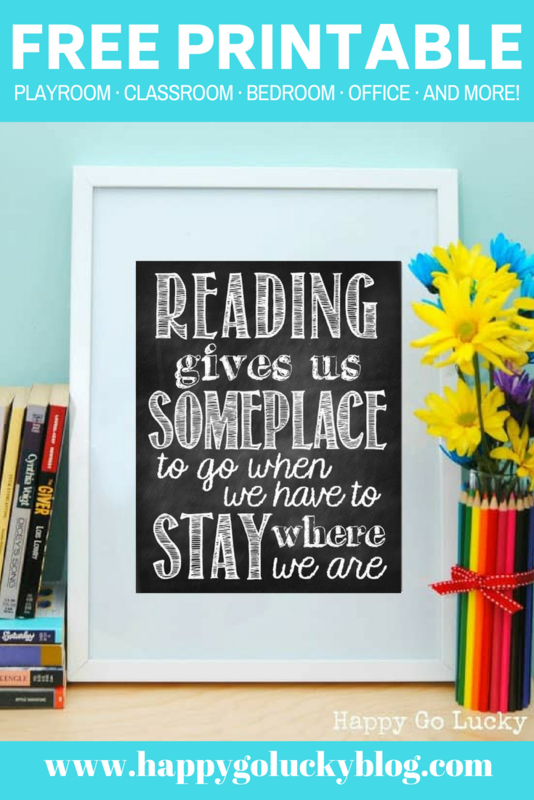 The perfect printable to hang above a bookcase full of books! How about a free printable to celebrate the end of the school year?! 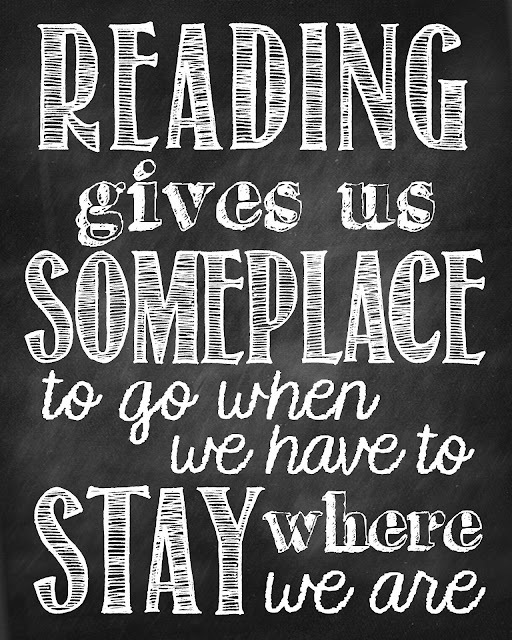 Reading gives us someplace to go when we have to stay where we are. Isn’t that the perfect quote? I came across this cute little saying and knew I needed it for my classroom and for Connor’s playroom. And since I’m a reading teacher, I thought it would be fun to make bookmarks for my students. Print and Enjoy!Always remember that reading gives us someplace to go when we have to stay where we are! Looking for more free printables? Well, you’ve come to the right place because I have tons of them! Click HERE to see all the printables that you can download for FREE. Thanks for sharing, I am totally using this one! Thank you, I love these and can’t wait to save those bookmarks. 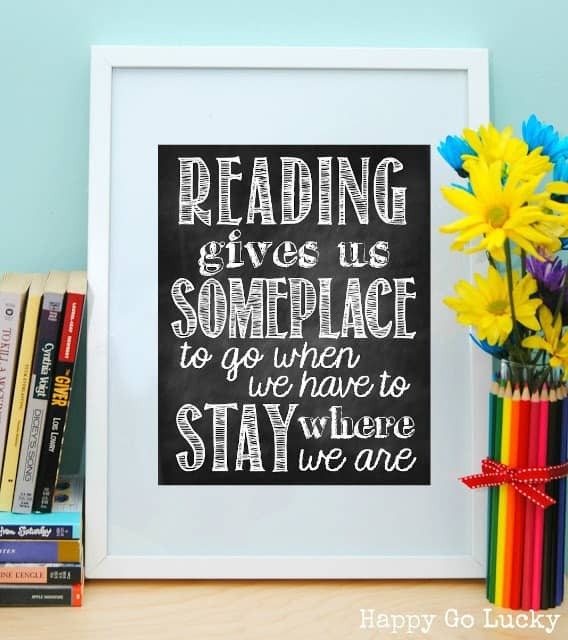 That’s such a great printable … I’d love to print it for our reading nook! Thanks for sharing … I pinned! Oooh – I love this saying. And I love chalkboard. Thanks for sharing! reading and me are likethis, so I looove this. and so want a book mark! Are you kidding me??? This turned out amazing!! SO CUTE! I love it! Pinned! 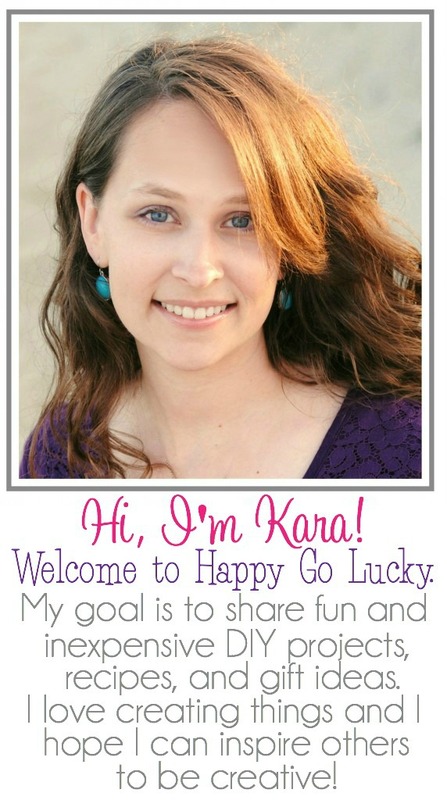 Such a great printable, Kara!! Love it. Yes! I love this quote and I would LOVE to link to it if you didn’t mind! Thanks for a darling printable! I’m going to feature this on my Facebook page (Facebook.com/LifetimeReader) and Instagram @LifetimeReader. I love the font, but I cannot find anything like it. What is the name of the font?? 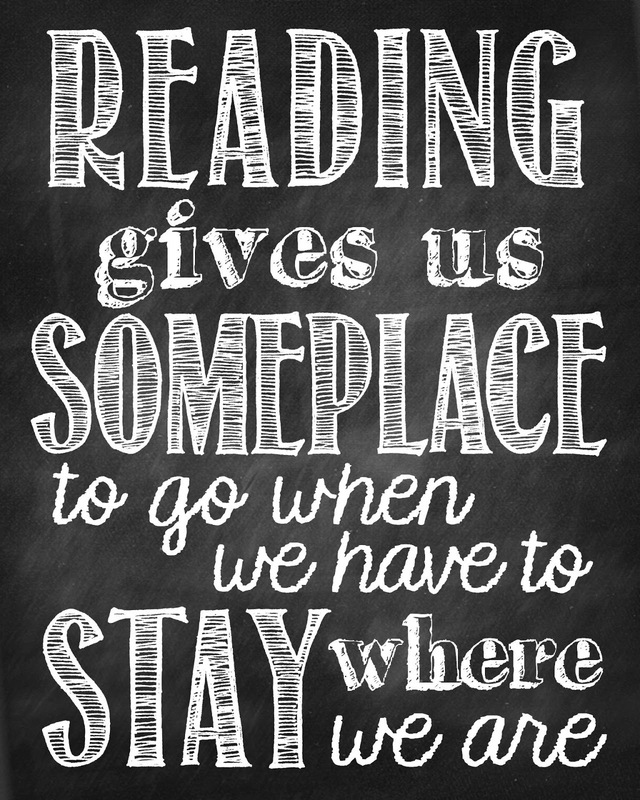 Thank you for sharing the “Reading gives us someplace to go…” bookmarks! They provide both inspiration and affirmation!